FIT MADE EASY! © Inspirational Dress Form Fitting Lessons ($14.99) Included with every purchase!! Fabulous Fit® adjustable dress forms with life-like contoured shaping pads & Bendable Arms! Create any Shape with Real body dress forms! Fabulous Fit® provides customizable dress forms with shaping pads that will revolutionize your creativity and fittings!. Each dress form comes with (14) contoured pads, (2) sets of filler pads, and a stretch body cover. The soft, contoured pads allow you to clone your body on your dress form to match your shape and size for accurate easy fittings. Our dress forms are used for fashion design, alterations, pattern making, and sewing at home...on any level. Dress form body is 100 % pinnable and easy to shape, lightweight with natural crotch for fitting pants! Lightweight, with non- collapsible shoulders. (Dress Forms include: Fitting System / (2) Pin-on Bendable Arms / Cast Iron Base w/ Wheels). 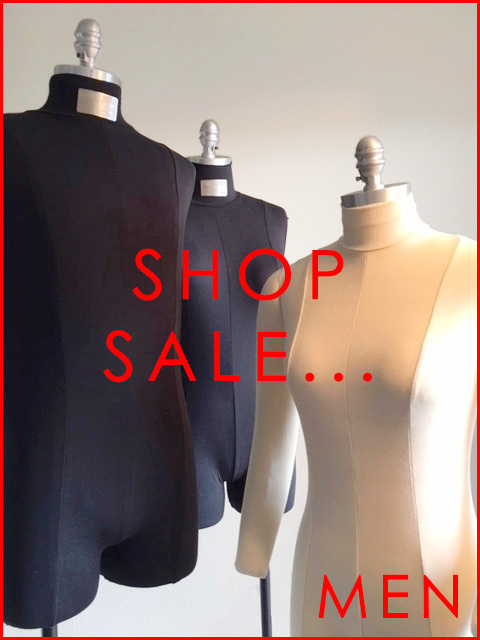 WOMEN’S FORMS/ EVERYBODY’S FAVORITES…BUY NOW! Many women wear the same size but are shaped so differently. Fabulous Fit® allows you to customize your dress form to match your shape, whatever your size may be. Whether you’re creating clothes to fit a certain body type, or creating clothes to fit the world, real body dress forms help you achieve an accurate fit, effortlessly. The Fabulous Fit® Fitting System, and cast iron base on wheels is included with every dress form mannequin. Read ...more below! FABULOUS FIT® FITTING SYSTEM… CONTOURED SHAPING PADS INCLUDED WITH EVERY DRESS FORM! 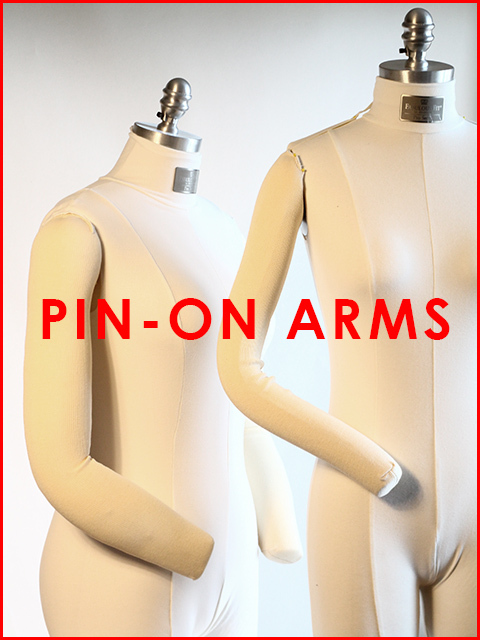 While our dress forms come in all shapes and sizes, we understand that the posture of your mannequin makes all the difference in your fittings. The Fitting System will give you the shape to match your body, so that your fittings can be consistent and accurate. Our dress forms are molded from real-fit models. We also test our shapes on thousands of bodies to ensure a realistic form. Designers in the industry share their secrets! Take your fittings to a brand new level! fit made easy! join us! ask us!!! !